Toronto is today one of the world’s most multi-cultural cities. However, before the waves of immigrants arrived following the Second World War, most Torontonians considered their city to be a loyal outpost of the British Empire. In that era, cultures that were different from those of Great Britain were viewed with suspicion. The majority of Canadians believed that their national identity was best expressed in terms of loyalty to the Mother Country. This idea was also prevalent in the latter decades of the 19th century, although there were some who preferred the ways of the republic to the south. In 1868, the Canada First Movement was a formed to generate continued support for the sentiment that Canadian identity was best promoted through British Protestant ideas. Prominent Toronto citizens who supported the ideas of the Canada First Movement were H. J. Morgan, Charles Mair, R. J. Haliburton, G. T. Denison, and W. A. Foster. Edward Blake, Ontario’s second premier, was also a prominent member. The National Club was created in 1874, intended as a place for members of the Canada First Movement to meet. It was located at 98 Bay Street, near the site of Toronto’s original Stock Exchange, near King and Bay. It included a library, receptions rooms, smoking rooms, and several dining rooms. However in 1875, Edward Blake joined the federal cabinet of Prime Minister Alexander Mackenzie, Canada’s second prime minister and leader of the nation’s first Liberal government. After Blake went to Ottawa, support for the Canada First Movement dissipated. Adding to its demise was the movement’s inability to make its platform acceptable to French Canadians. Adjusting to the new circumstances, the National Club became a non-political organization, though many of its members were supporters of the Liberal Party. During the years ahead, it enlarged its membership and prospered as a private social club for business professionals. By the first decade of the 20th century, more spacious premises were required. It was proposed that the club relocate to a site further north, at 303 Bay Street, near the corner of Richmond and Bay Streets. The new building opened in 1907, its architect S. George Curry of the firm, Curry, Sproatt and Rolph. The structure’s four-storey, red-brick facade contained generous stone trim, especially on the ground-floor level. Built in the Neo-Georgian style, its appearance was formal, somewhat resembling a grand home such as might be found in Rosedale. Its large portico was supported by impressive Doric-style columns. The large bay windows on the lower three floors allowed plenteous light to enter the rooms within. When it was built, its domestic-like appearance was viewed as appropriate as the club possessed over-night accommodations; it was a “home away from home” for some of its members. When it was opened, it complemented the surrounding structures, as in that decade the northern part of Bay Street contained mostly commercial blocks of two or three storeys, interspersed with churches and modest residential properties. Today, the street has changed greatly, and the club is nestled among high-rise structures of glass and steel. Women were first admitted to the club in 1992, and currently make up approximately 15 per cent of the membership. A few years ago, on the roof of the club, a 3000 square-foot patio was added, one of the largest of those belonging to the private clubs in downtown Toronto. The National Club has an extensive wine cellar, which is said to contain about 40,000 bottles. The club often features theme nights, such as oyster or martini parties. The premises is exclusively for members from Monday to Friday, but guests are able to rent various spaces on weekends. On these occasions, its dining rooms host private events for families and businessmen. It is also a popular venue for wedding receptions. Revenues from the rentals help defray the annual costs of maintaining the historic building, which can be as much as $200,000 a year. The author is grateful for the informatio0n provided by: https://www.theglobeandmail.com/report-on…national-club/article25484992 and www.blogto.com/…/six_private_member_clubs_in_toronto_you_probably_dont_wan..
Painting of the club (c. 1907) designed by S. George Curry. The buildings on either side of it are of less height. The National Club in 1969, the view from the west side of Bay Street. 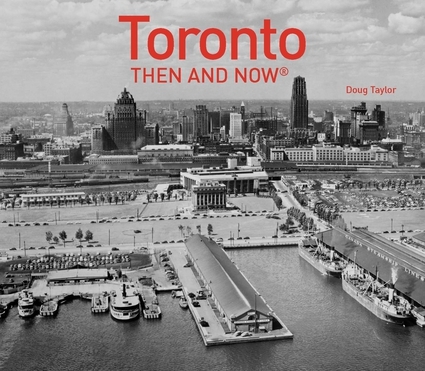 Photo, Toronto Public Library, tspa 0111539. The impressive portico and main entrance to the club on Bay Street. The entrance hall of the National Club, view from the doorway. The mosaic tile on the floor of the entrance hall of the club. Staircase from the entrance hall to the second floor. Meeting room on the second floor. Group of chairs on the left-hand side of the fireplace. Space for receptions and special events. Area on the 4th floor that provides access to the outdoor patio. An area for club members to relax, read or chat. Hallway in the National Club. The National Club on May 23, 2016. View gazes northeast on Bay Street.